Lance Nelson is long-time CWM board member, aficionado of world music, and supporter of music and dance education in the schools. 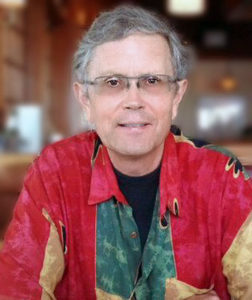 A professor in the Department of Theology and Religious Studies at the University of San Diego, Lance specializes in the religions of Asia, with special emphasis on Hinduism in India and Bali. He has taught courses for USD in India, Bali, Hong Kong, England, and the Dominican Republic. He likes to tinker with web technology, and has been the CWM’s volunteer web and social media coordinator for many years.